Jeana used the phrase to describe what the adaptive reuse of buildings provides to a neighborhood. PGL, a subsidiary of the National Trust, is headquartered in Seattle, our most recent CityLove city, and the more I read about Seattle, the more I think they have taken the "anchor of authenticity" phrase to heart. Seattle gets placemaking. Time and time again, Seattle comes up as an example of how to do placemaking right. Most recently, the Mayors' Institute on City Design, an initiative of the National Endowment for the Arts, released a Creative Placemaking report to serve as resource for those interested in leveraging the arts to reshape their own towns. 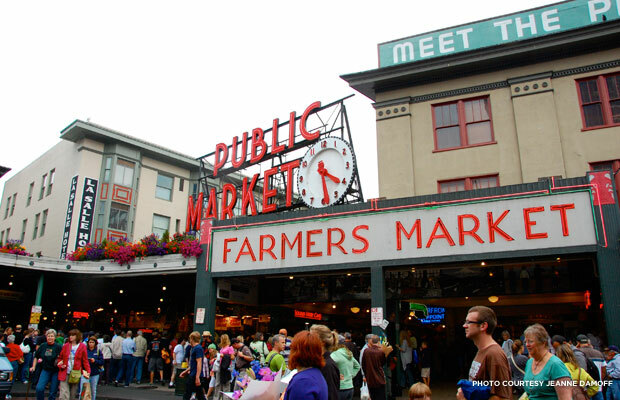 The legendary Pike Place Market is widely celebrated as a national symbol of how to effectively use a public place. Placemaking is supported at the city level with large-scale investments of resources (like the Waterfront Seattle Plan), as well as at the neighborhood level, where changes are happening block by block, building by building. Local place-savers are working with community development corporations and community associations, as well as organizations like Great City and a growing number placemaking-focused developers and architecture firms..
Seattle really is green. Seattle is green in a lot of different ways. First off, the scenery is green; Seattle's first major industry was logging and it has a beautiful park system with supports the year-round recreational opportunities. Thinking about green in a preservation context, Seattle also has some great examples of medium- and large-scale adaptive reuse. Two great examples from one of our favorite organizations, local partner Historic Seattle, are their work on the Good Shepherd Center and at Washington Hall. They even have a tour coming up, specifically focused on adaptive reuse projects. Check 'em out. Washington Hall has long-served as a historic community gathering space for many groups of people. In June 2014, they celebrated the 96th anniversary of the first documented jazz concert to take place in Seattle, when in 1918, Miss Lillian Smith's Jazz Orchestra performed at Washington Hall. 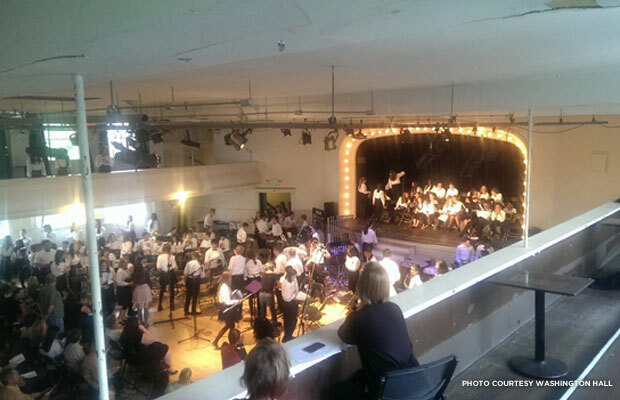 To celebrate, they hosted three sold-out performances by the Washington Middle School Music Ensembles on the same stage. 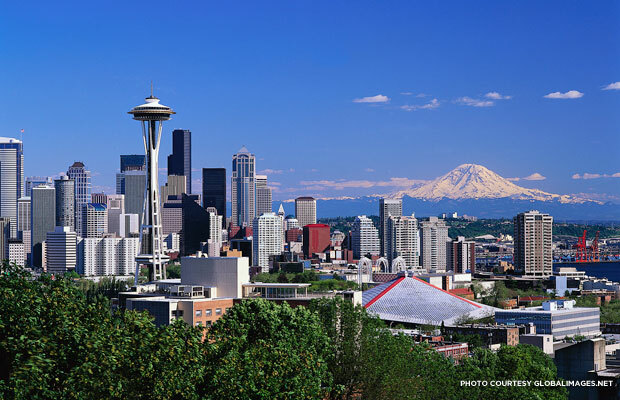 Seattle has the data to back up all of this up too: It was one of three cities PGL focused on during its most recent report, Older, Smaller, Better. The report provides empirical evidence to support the claim that established neighborhoods with a mix of older, smaller buildings perform better than districts with larger, newer structures. One of my favorite findings from the report: Areas of Seattle with older, smaller, and more age-diverse buildings have more than twice the rate of businesses with women or minority ownership then in areas with mostly newer, larger buildings. Seattle is a place where many topics we talk about as preservationists are actually happening, and it’s exciting to see those in progress. Curious about getting involved with a local preservation group? We recommend starting with Historic Seattle, or the Washington Trust for Historic Preservation, which works statewide. Grant is the manager of Community Outreach at the National Trust. He's proud to be from a Main Street Community and the Black Dirt Capitol of the World—Conrad, Iowa! Now a resident of beautiful Baltimore, you can most often find him reading, running, or out on the road saving places.